La st weekend brought an adventure for our Beavers and Cubs at Beamish. On Saturday morning we got on our first tram ride down to the town then we saw lots of exciting shops, some businesses and of course the sweet shop. Some of our Beavers were even luckily enough to see some sweets being made and try a sample! They were super tasty! After lunch we went on the steam train and the conductor blew the whistle for us. Then we moved onto the fairground. No surprise at all the Cubs and Beavers (and some of the Leaders) were more entertained by rolling down the hill. We each had a go of one of the games on offer; some won lollipops whereas others won a coconut. 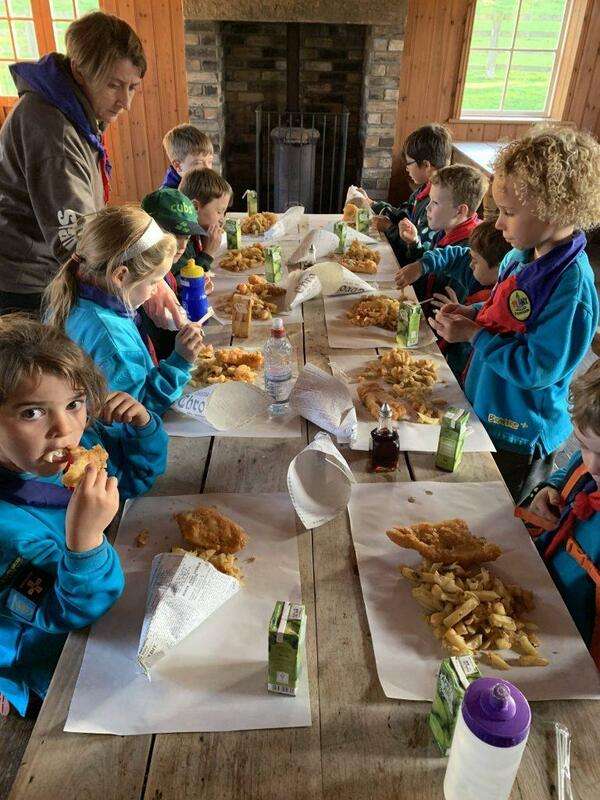 After a fun filled day it was tea time…FISH AND CHIPS!!! Going into the night we had a night hike around Beamish with Simon then some wide games, a campfire and songs then hot chocolate and biscuits before bed. All the Beavers and Cubs were very tired by the end of the day to much relief to the Leaders who were also super tired. Once everyone had caught some sleep it was up and ready for today’s adventure. We got the opportunity to watch all the Trams and Buses getting ready for their busy day and one of our Cubs even got to change the tracks for the trams. After we saw this we had a little walk to the tram stop then went to Pockerly. Once we got there we saw another steam train and had a little ride on it unfortunately by the end of our little steam train ride it was time to head home. Please find attached the photos from the weekend HERE or click the image below.